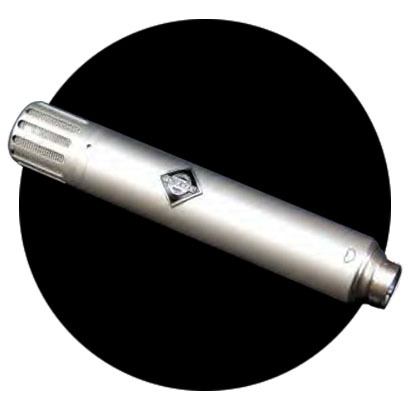 Audiophile gurus, Allen Sides and Steven Miller developed a unique, discrete multi microphone recording and mixing technique. 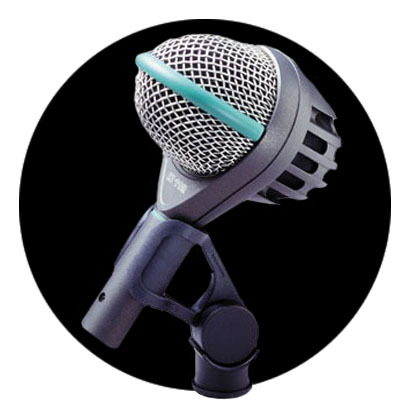 Utilizing up to 13 separate mono and stereo sound sources per instrument (including 3 sets of stereo room mics), this technique captures the sound of each instrument with startling audiophile clarity and enables the end user to independently adjust each drum and cymbal within the kit from tight and dry, all the way to wide and ambient. 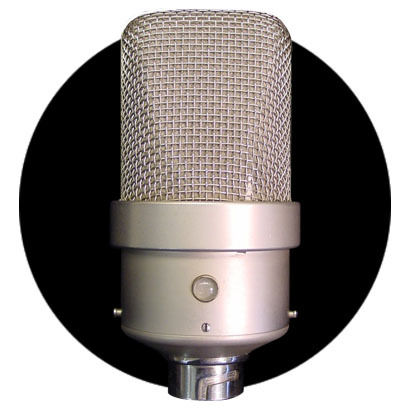 Microphones used for recording Ocean Way Drums were hand picked by Allen Sides from his personal collection. 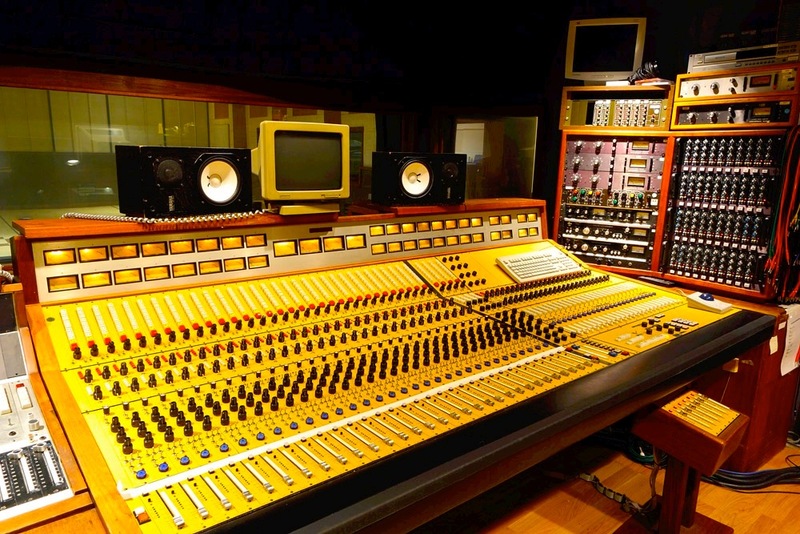 All audio was recorded through Studio B's custom, one-of-a-kind console, considered to be the most astonishingly clear board in existence. 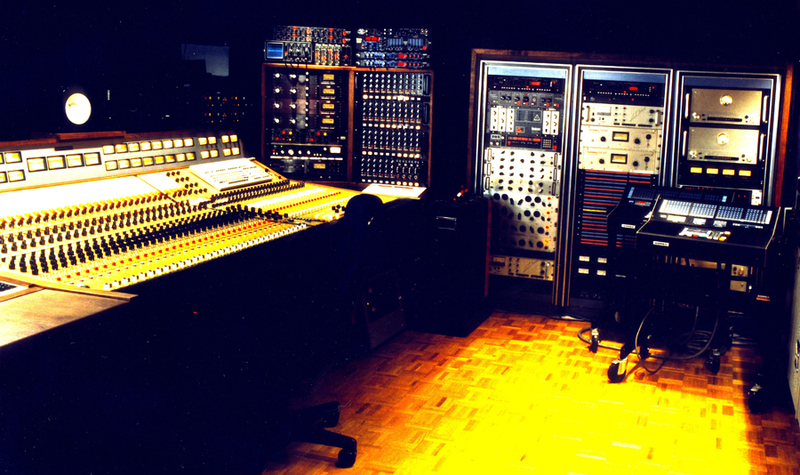 Very little eq or compression was used, but when it was, highly modified classic gear from Neve®, API®, Ueri®, Fairchild® was utilized. 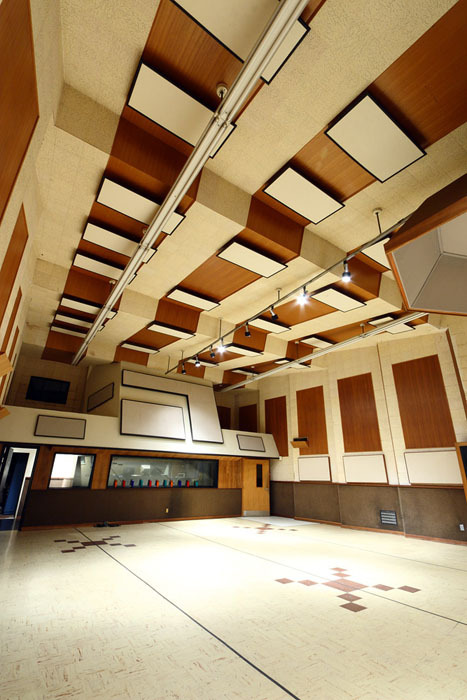 The drums were placed in the rear right corner of historic Studio B, considered by most producers and engineers to be the "sweet spot" with the most low end punch. 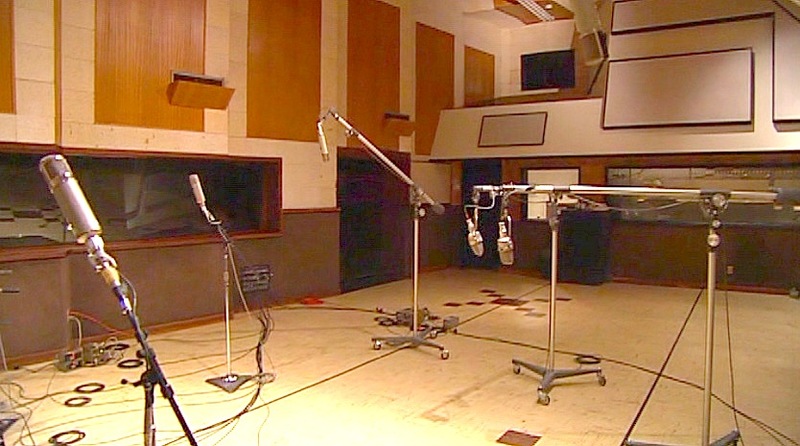 Because the wonderful acoustics, each instrument was able to be recorded at the optimal distance and angle and with the microphones that best captured the full frequency and dynamic range of that instrument. 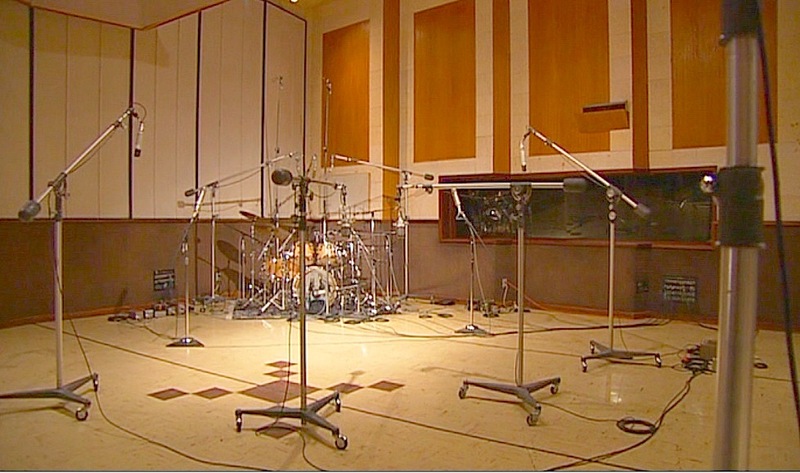 The multiple sets of stereo room mics picked up the room's natural ambience at various distances from the drums. 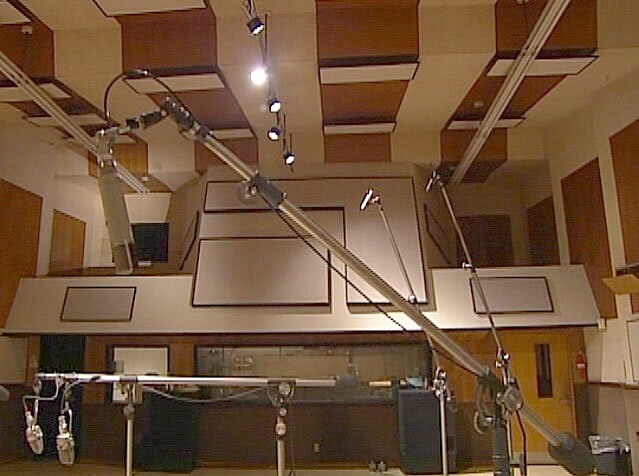 Each separate room source presents its own unique sonic color, and when the various room sources are blended together, they present unlimited tonal options. 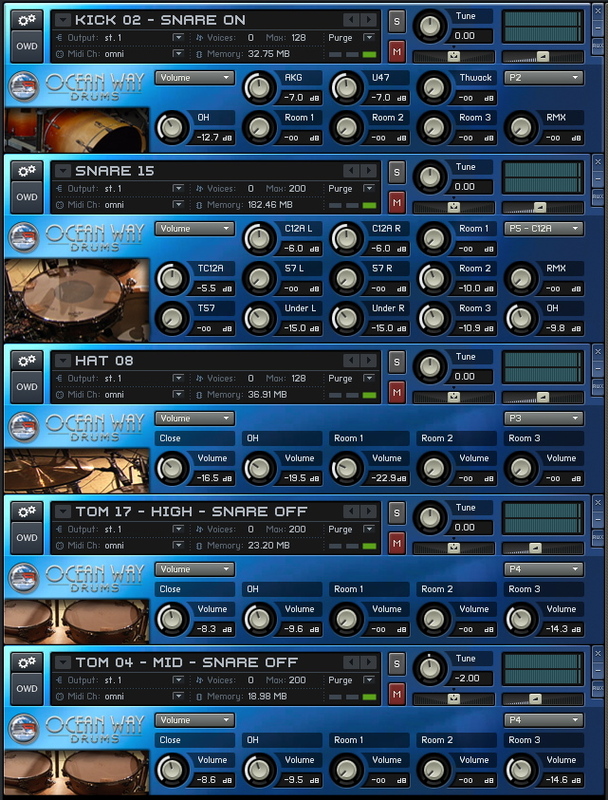 Allen Sides and Steven Miller created 6 "mix presets" per drum kit to instantly provide killer sounding, record quality mixes. 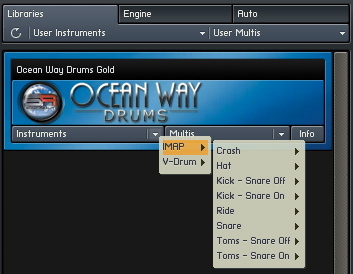 Presets can be instantly changed either as an entire set, or, individually per instrument within a drum set. 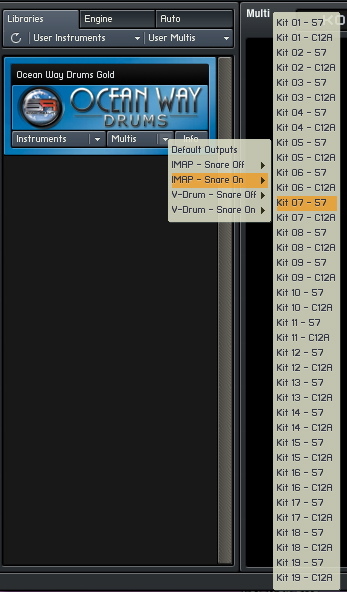 There are 6 separate pre sets for both the mono snare drum (57) and the stereo snare drum (C12A). 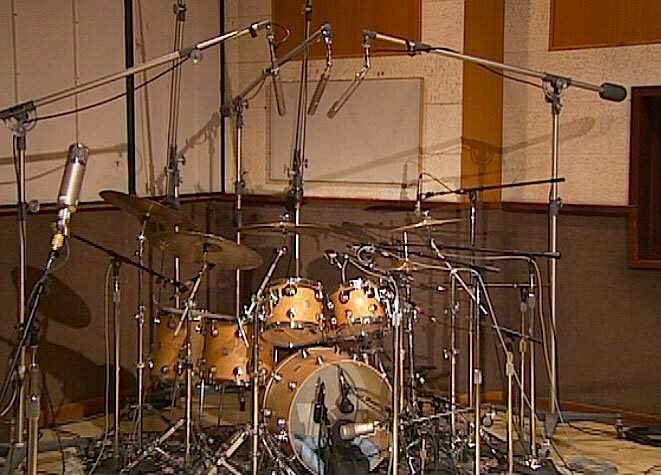 Beyond the pre sets, adjustments can easily be made and saved to all of the individual sound sources within EACH instrument of EVERY drum kit. 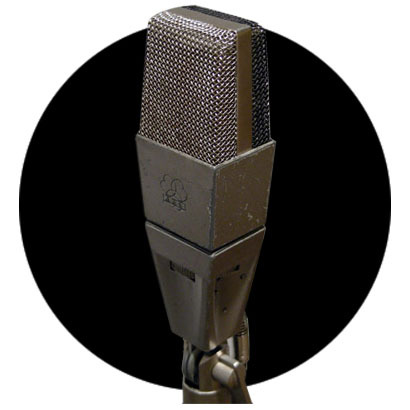 This, along with control of pitch, pan, envelope, velocity and balance of the stereo submasters, gives users total control of the mix and provides unlimited possibilities. 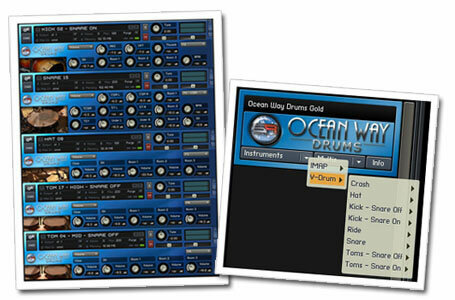 Triggering Ocean Way Drums from existing audio is best accomplished in conjunction with Wave Machine Labs' Drumagog. 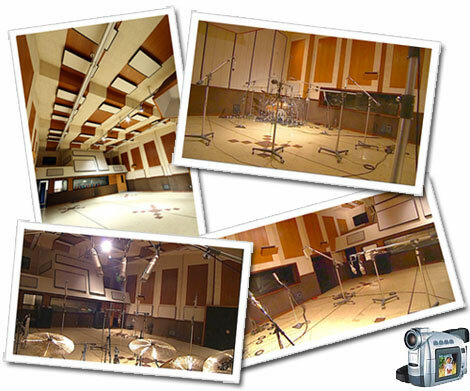 You can transform any drum performance recorded in a less than optimum environment into that "major label" sound. 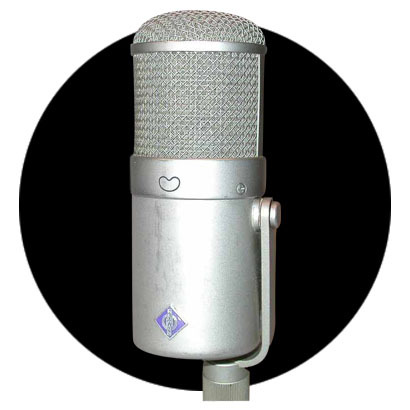 Step by step instructions for both Mac and PC users are included in the manual. 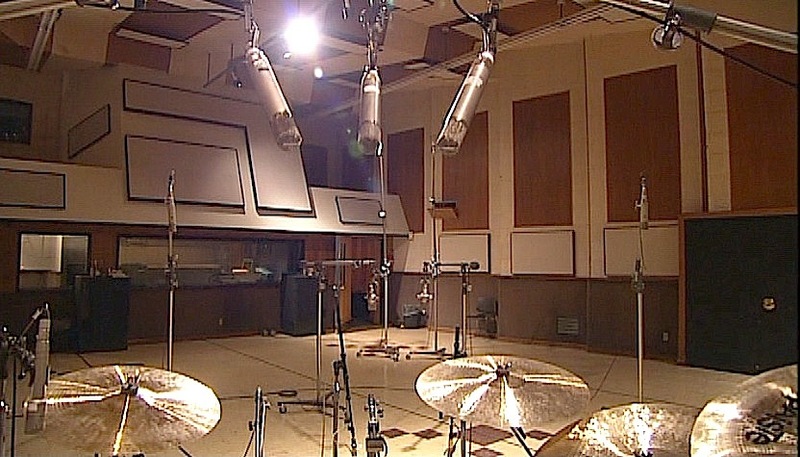 Six close microphones were used to record the snare drum - two C12A´s about eighteen inches above the drum head, two custom 57´s two inches from the head, and two 55P´s five inches under the bottom head. 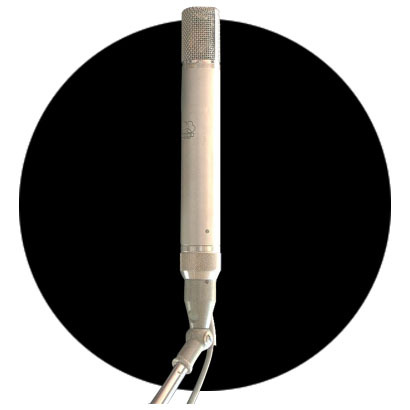 Since there are numerous ways in which to utilize the six mics, Ocean Way Drums offers two Presets which represent the opposite ends of the sonic spectrum. 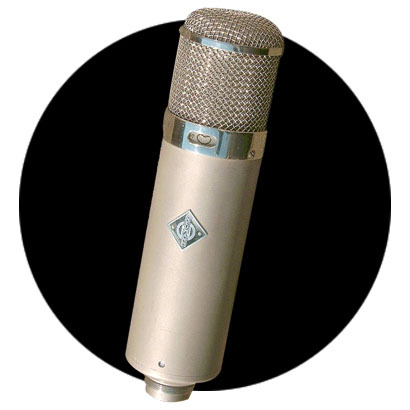 The "C12A" versions utilize both C12A´s in stereo (panned hard left and right) along with both under snare mics in stereo (also panned hard left and right). 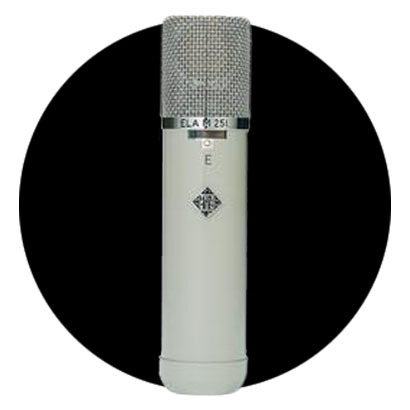 The "57" versions utilize one or the other custom 57 in mono without under snare mics. 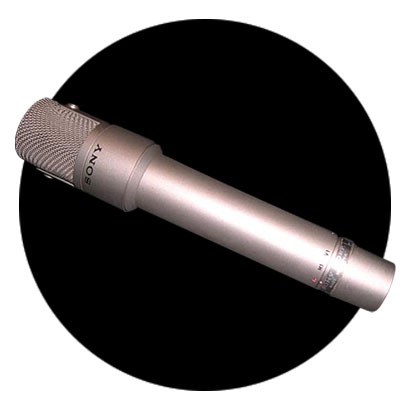 Many of the Pre Sets for both the "C12A" and "57" versions do include some amount of "Thwack," which is a highly compressed mic signal to be added to your dry, uncompressed drums. 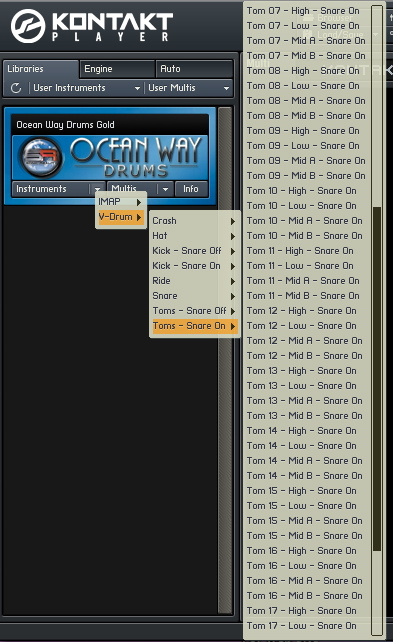 Snare On and Snare Off versions refer specifically to the sound of the Kick Drum and the Toms. 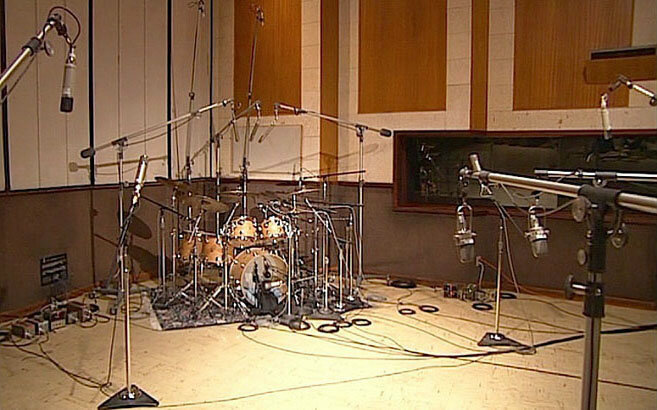 Snare On means that the Kick and Toms include the rattle of the snare drum. Snare Off means that the snares were turned off during the striking of the Kick and Toms. 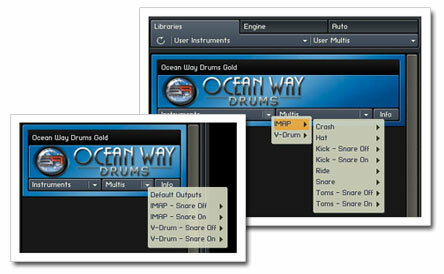 Ocean Way Drums is a multi output virtual instrument. Every channel in the mixer can be routed to a separate stereo or mono input in your DAW. 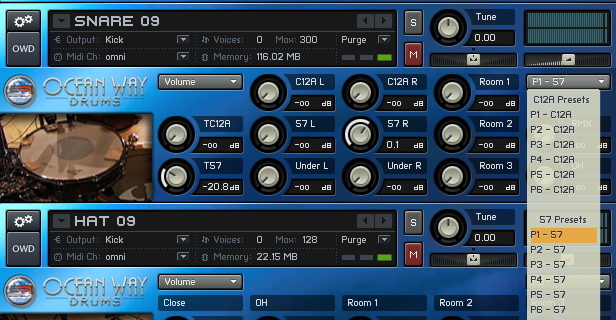 Even though the default is stereo, you have custom controll over your output configuration and can make simple pre sets for any and all situations. 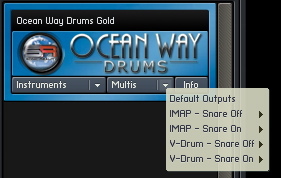 The Instruments and Multis are broken up into two folders labeled IMAP ( for use with a MIDI keyboard) and V-Drum (for use with drum pads). 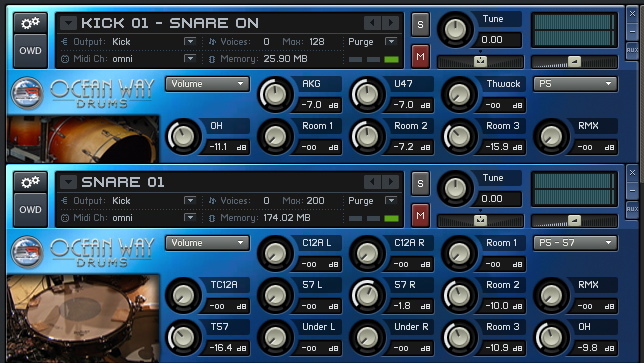 Within these folders, you have a choice of Snare On" and Snare Off" as well as a choice between the snare 57 and snare C12A presets. Building custom kit multis are a snap. You can make changes to an existing kit or put together a kit from scratch. 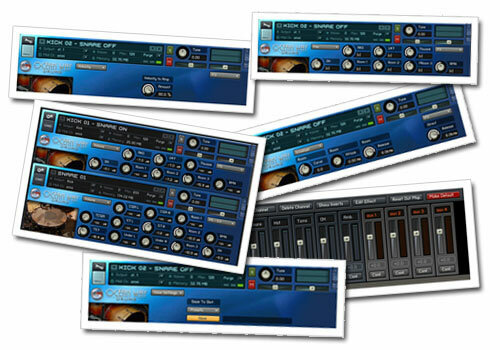 It´s easy to "mix and match" instruments from one kit with instruments from another. 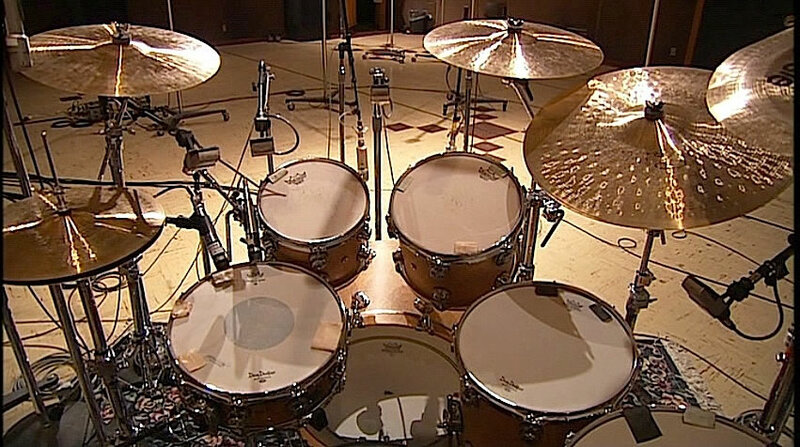 The sheer number of different kicks, snares, toms, hats and cymbals provides many possibilities. 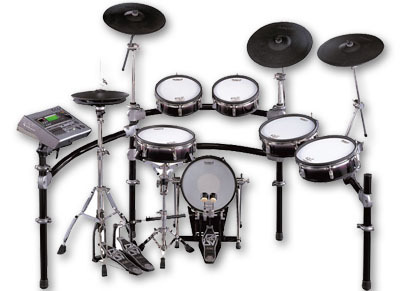 All drum kits and individual instruments come mapped for both MIDI keyboard and drum pads. 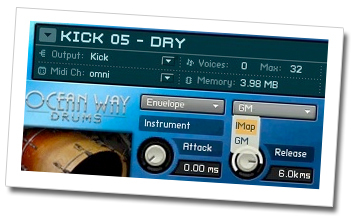 Ocean Way Drums´ custom programming helps you perform realistic drum tracks - down to even the most subtle nuances of the groove. 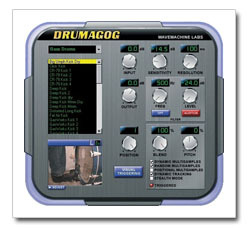 V-Drum (drum pads) and I-MAP_GM (keyboard). 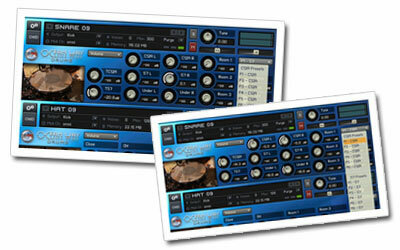 Keyboard map users have the option of switching between I-MAP and GM on each instrument or the entire kit. GM Map (General MIDI) is the standardized layout for MIDI keyboard. 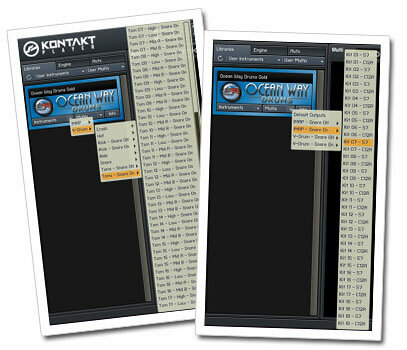 Most existing MIDI files are in this format. 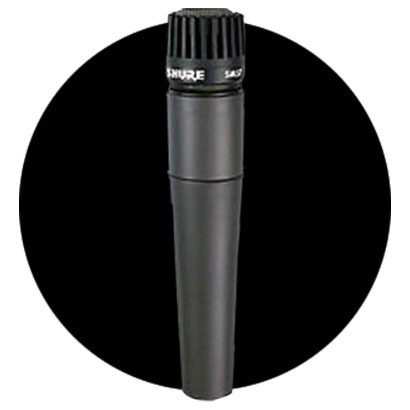 I-MAP is a proprietary MIDI note mapping layout for the keyboard that provides more performance variations and articulations than any other drum product. 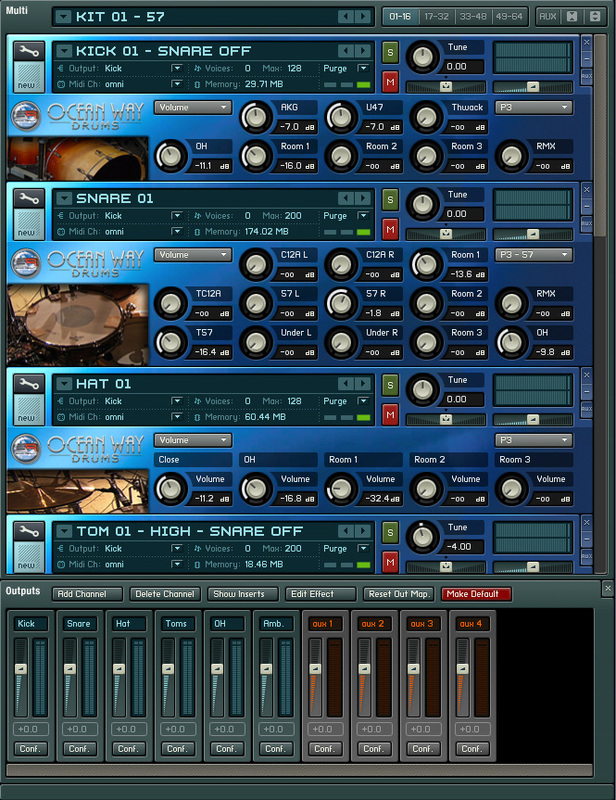 Featuring a powerful layout that places drums in their most intuitive position, I-MAP enables you to create incredibly expressive drum tracks that feel and sound like the real thing. 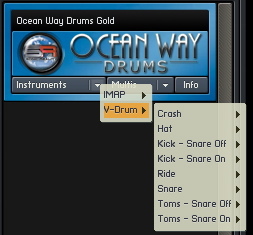 Since I-MAP uses the same basic Kick, Snare and Hi Hat placement as GM (+ 1 octave), you can work with existing MIDI grooves in I-MAP mode to add a more life like feel to your grooves. 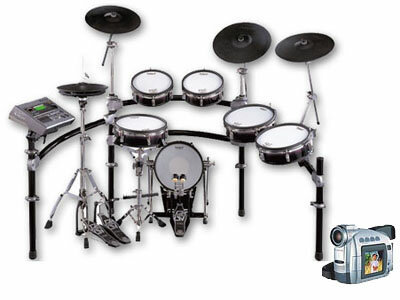 The V-Drum Map has been carefully programmed to work with Roland´s TD-20 V-Drums® electronic drum kit. 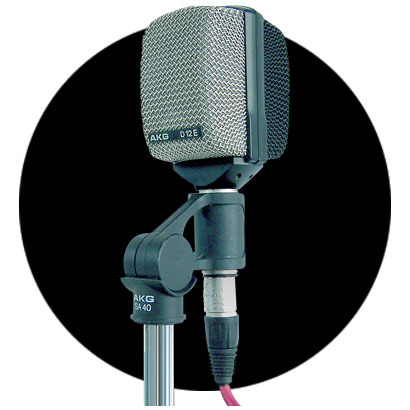 It offers a high level of real performance variations and a comfortable range of positions for each instrument within the kit. 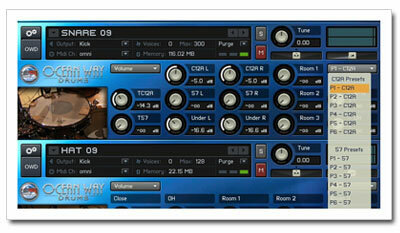 It's loaded with a multitude of samples, which makes for great dynamics and serious playability. Alternating "round robin" hits - avoids the "machine gun effect"
Key switching on the V-Drum brain - can change pre sets "on the fly"